You can’t be on the practice green all the time. Eventually you have to go home. But being able to perform practice drills at home can keep improving even on those days when you can’t make it to the course. Here are a few drills that I have found to be very helpful and easy to set up at your home or office. This is one that’s been around since Old Tom Morris decided to practice his putting at home. Watch or read interviews with golfers from any decade and you’ll hear them talk about working on their putting on a carpet with a cup on it’s side. Whether you’re at home, at the office, or in a hotel room, you can almost always find a cup. So the biggest benefit of this is that it is readily available. The downside is that it really doesn’t work on any one aspect of your putting. It is best used to stay comfortable and loose with your putting. This works great for warming up before a round if the weather is bad or it’s not time to head to the course yet. Proper alignment in your putting stroke may seem simple, but it is something that you need to practice and monitor consistently to maintain. Luckily, this is something that is easy to work on at home. All you need to do is set up a path to putt along and a target to aim at. Find a flat surface. You want a spot where the ball will not break to the left or right. A flat piece of carpet works well. Identify and mark a target somewhere in the room. It doesn’t have to be a hole because speed is mostly irrelevant for this drill. A coin works great for this. Set up one or two alignment lines pointing at that target. Use something straight like an alignment stick (or anything you have on hand that is straight and rigid). Hit the ball. Take your normal set up and routine and hit the ball towards the target. Watch the ball to see if it stays on target. Use the alignment sticks and the target to identify stray shots. Make adjustments until you are consistently striking the ball on a straight line. Most of this will likely be setup adjustments. 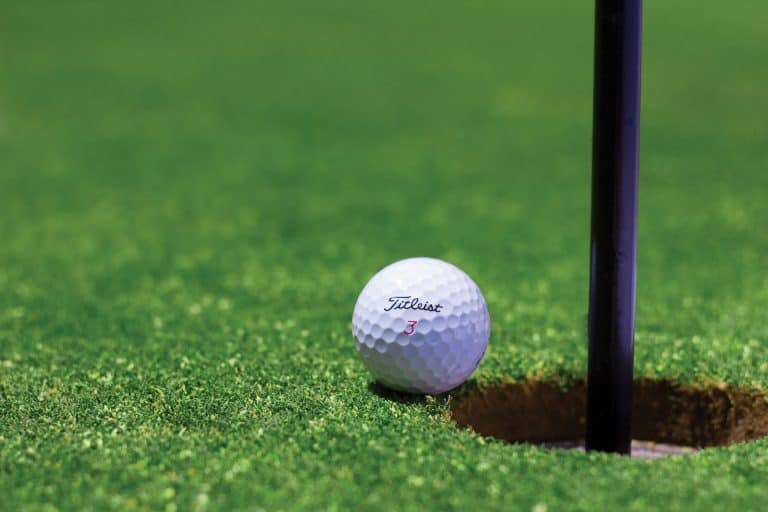 By practicing this over and over again, you will get used to getting yourself into a setup that produces putts that are consistently on target. You still need to read the break correctly on the course, but you can be confident that the ball is at least starting on the line you intended. Making consistent contact with the center of the putter face is critical for maintaining control of your distance. If you are inconsistently hitting the center of the putter face, then your distance will vary even if you are swinging the putter with the same force. The best way to see where on the putter face you are making contact is to use impact tape. Impact tape attaches to your putter face. When you hit the ball, it will make a mark on the tape where it made contact. 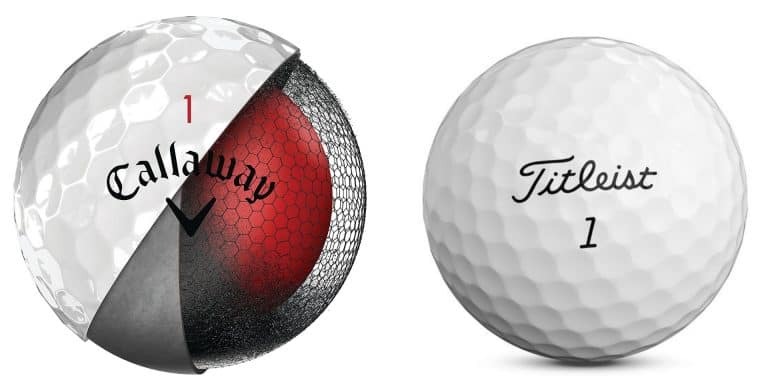 You will want to find impact tape that is specifically designed for putters because (1) it will usually fit on the putter face better and (2) it is designed to make a mark at much lighter impacts than the impact tape that is used for full swings. Set up a target to hit the ball towards on your floor. Like the previous drill, a coin works great here. Set up to the ball and aim at the target. Take your normal setup to putt the ball. Hit the ball. Make a putt towards the target. Watch to see if the ball goes towards the target. It is important to watch your putt to see if it is on target. Look at your putter face and see where the ball made contact with the putter face. This is the whole point of the drill. You want to see if you were able to make contact with the center of the putter face. Make some adjustments to your setup and/or swing until you are making consistent contact in the center or the putter face. Pro Tip: You should also think about how center contact feels different from off-center hits. Over time you’ll develop a sense of feel and be able to identify off-center hits without impact tape. This can be tremendously helpful for making corrections on the course (where you can’t use impact tape). This drill is great to combine with the Alignment Drill above.